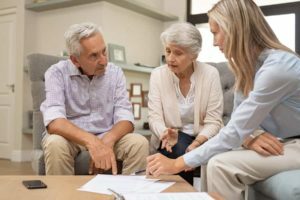 New York law uses unique terminology when it comes to estate planning and elder law. If you know and understand this terminology, it will make it much easier for you to comprehend the estate planning process and how it works. The experienced New York estate planning attorneys at Goldfarb, Abrandt, Salzman & Kutzin, LLP can discuss this terminology with you and guide you throughout the entire process to completion. In New York state, the executor has a very important role. Specifically, the executor is the individual whom a person appoints in his or her will to manage all of the affairs of a particular estate. A grantor, on the other hand, is the individual who sets up a trust. A will in New York—or more specifically, a “last will and testament”—is an executed (signed) document that establishes what will happen to a person’s estate when he or she passes. The will sets forth how various assets will be divided and distributed. In order for a will to be valid, it must comply with all of the statutory requirements. The court will review affidavits of any witnesses and review all of the circumstances available. The court will determine whether or not the will satisfies all of the requirements set forth in the statute. The court will make sure that the will was not the result of any kind of duress or undue influence. The court will ensure that the person who created the will was of sound mind and legal capacity. If a person dies intestate, this means that he or she dies without a will. When a person has not drafted a will, disposing of his or her assets can be much more difficult than if a will is present. Advanced medical directives are also known as advanced health care directives. These documents detail what will happen in the event a person is no longer able to make a medical decision, due to incapacity or illness. The advanced directive may set forth whether or not the person wants to be kept alive on a respirator (or with certain drugs) in certain medical situations. When a person grants power of attorney to someone else, the individual with power of attorney has the right to make certain legal and financial decisions and/or sign certain documents on the grantor’s behalf. An understanding of frequently used terminology can make estate planning in New York that much easier. The experienced attorneys at Goldfarb, Abrandt, Salzman & Kutzin LLP can answer all of your legal questions and assist you with all of your New York estate planning needs.